I'm looking for TWO layouts with a similar design. The designs will be for our website [login to view URL] and for signs that measure 18" x 24". logo should emphasize the .ME instead of typical .com sites. 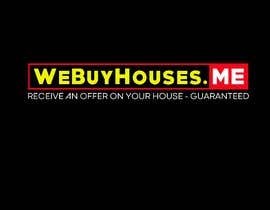 We would like to use a black background and "We Buy Houses" should be bright yellow letters. We have considered the .me in all caps and maybe red letters. I would like the letters to look 3D with light reflecting from the surfaces. 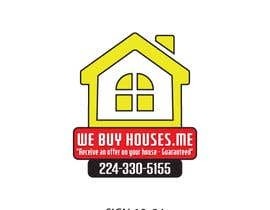 For the website logo, we want "We Buy Houses" on one line. For the larger sign, we thought about "We Buy" on one line and "Houses" on a second line. Then placing the whole website under everything else.. There needs to be a tag line included; "Receive an offer on your house - Guaranteed"
We are thinking this should be in yellow also, but are open to other suggestions. We would like to use yellow, red and white on a black background. We are open to other colors or full color. A phone number will be added to the 18" x 24" signs. When the final design is selected, the designer will need to add our company phone number to the layouts. The attached files are ONLY SAMPLES. Just what we thought of. Look forward to your submissions.